Underpinning so much of Laurie Antonioli’s approach to music is identifying the provenance and essence of dramatic character, ‘mutant opera’ if you will, which are not enacted but depend on perceptive rhetorical judgement within a fabric of rolling continuity. Her music may pay homage to forebears in scale, tone and technique but each one, especially revealed in this vibrant and questing new set, presses for fresh meaning with all the virtuoso means She could muster. 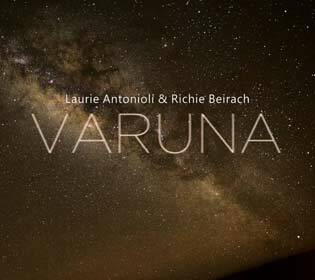 These works under the inspired title, Varuna represent an endlessly fascinating tapestry of discovery which will doubtless continue to evolve, a body enhanced by the eternally entrancing “Resolution Suite”, one that will – I predict – come to be a gold standard for excellence in vocalastics. 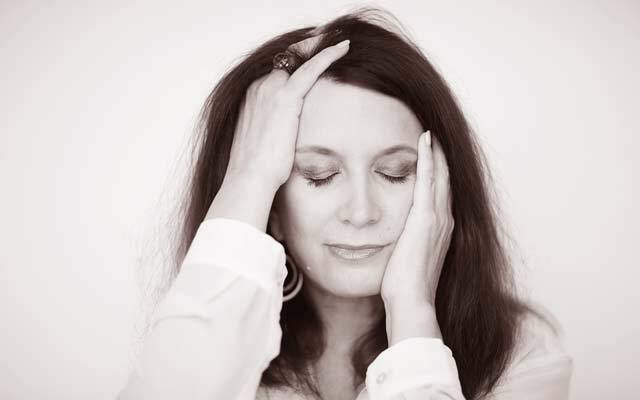 But there is, of course, much more… For here Laurie Antonioli achieves inimitable textural projection, clarity of line, rhythmic rigour and an overriding sense of expectancy and flair, never slipping as vocalists often eagerly do, into exaggerated gesture. Ms. Antonioli demands much of herself: pinpoint delicacy, quicksilver contrast and lightness, illuminating inward de camera dialoguing between voice and emotion. There are no pages sprung here of bravura and purpose; only periods of elongated and poignant restraint. There is also no more compelling example of Laurie Antonioli’s ingenuity than in the soft, controlled climate of the contemplative strains of “Haunted Heart” where we have extraordinary representation of precious mysteries of the finite and infinite relationship between human and divine intervention in the voice. There is a quintessential and almost ritualised other-worldliness as Ms. Antonioli’s captivating certainty of line becomes evident as the devoted soul drifts heavenwards. But, as I said, there is much more and one of these is how attentive Laurie Antonioli is to the individuality of each of the songs she chooses to bring to the table. Each brings an ambitious kaleidoscopic challenge to the listener in renewed character and meaning (to even old fare). How lucidly the character of each song is brought to life. Here we have something more perspicacious than merely good pacing: It is almost as if Ms. Antonioli is narrating the play of uncertainty and the growing anticipation of understanding of God’s will in intervening in the creative process between the two instrument sin evidence here – voice and piano. And speaking of piano, Richie Beirach plays a characteristically understated role here. This is because Mr. Beirach is the perfect partner in a creative, duet, process. Like all great Lied accompanists, he knows when to shine and when to recede from the limelight and let the vocalist do so. Shill this is the music of equals in many more ways than one and nowhere is that more evident than in John Coltrane’s “Impressions”. What a courageous idea to put this on a vocal album of almost straight standards. As you would imagine, surprises abound – some of which take getting a little getting used to . Both Laurie Antonioli and Richie Beirach challenge the orthodoxy in how vocal-piano duet holy grails are fundamentally signposted and they do so, almost always, with persuasive passion and genuine zeal. This is high-wire artistry on the part of both musicians and the celestial imagery of the cover befits these landmark, high-stakes performances. Track List: Varuna; You’re an Angel Now; Summer Night; Prelude in E-Flat Minor/My Funny Valentine; Gentle Rain; Resolution Suite: Revelation – Transformation – Exaltation; My Love; Inside My Dreams; Haunted Heart; Impressions; Over the Rainbow. Personnel: Laurie Antonioli: vocals; Richie Beirach: piano; Pepe Berns: bass (5 – 8).